Autosomal Dominant Polycystic Kidney Disease – How To Help? 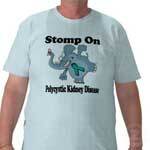 Autosomal dominant polycystic kidney disease is a genetically caused condition in which causes cysts on the kidneys. 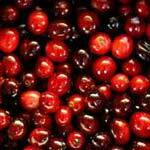 Some other organs including the liver, pancreas and even brain can also become affected as the disease progresses. 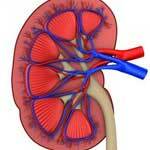 Around half of all people who develop this malady end up with end stage kidney disease, requiring renal transplant. Donating a Kidney – Top 10 Mistakes to Avoid! Let’s face it, donating a kidney is a life altering decision that should not be taken lightly. It could be empowering for some people to know that their kidney helped someone live longer and enjoy the life to the fullest, especially if that someone is a family member or a dear friend. However, living with one kidney requires making smart choices for the rest of your life that might not put too much pressure on the remaining kidney and lead to renal failure. Decision of donating a kidney could be made by a relative of a seriously ill person in high need of a renal transplant due to a serious disease like, for example, autosomal dominant polycystic kidney disease, or other condition that led to a kidney failure. However, a kidney donor could be a completely unrelated to a patient individual with highly altruistic motivation that had been previously bio-matched to the patient. Renal transplant is a life-saving procedure intended to replace a failed kidney of a critically ill patient that might be necessary as a result of a severe trauma or a long time kidney disease with distinct renal failure symptoms. 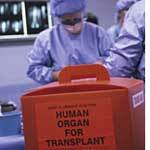 A renal transplant could be received from a diseased individual or a living donor. Donating a kidney could be done by a related or unrelated bio-matched kidney donor. The initial renal transplant testing is essential to distinguish the blood and tissue compatibilities to reduce the risk of transplant organ rejection.